In the course of 10 days, January 8 – 18, 2015, spanning 2026.0 km/1,259 miles, five countries, four border-crossings, thirty-five hours of travel, the Alvidrez and Markesbery families joined together in ministry and faith, to begin a new year of biblical counseling teaching and training. Our journey together intersected two Eastern European countries: Romania and Albania, as Grace Fellowship Church, in Northern Kentucky, seeks to bring biblical counseling into the life and breath of the local churches in these regions of the world. Blair, Sue and Kathryn began the 14 hour road trip a day before the classes began at The AREOPAGUS Center, in Timisoara, Romania; starting the first module in the second year of training in the school for biblical counseling headed by Doug Markesbery, where twenty-six students are enrolled for certification. In this module, Doug and Blair taught six sessions on biblical principles of communication and conflict. The sessions were attentively engaged with meaningful questions and discussions. The day following the last session, we packed our cars and off we all went; Doug and Diane, along with the Alvidrez’ on a two car journey to Albania via Serbia, Macedonia and Kosovo. Our first module in Albania was taught in the mountainous southern city of Korça with thirty participants. We were warm and comfortable from the colder temperatures, nestled in a room heated with a wood-burning stove. As we have now become acquainted with many of those attending, through the annual biblical counseling conferences held in their church, people were relaxed and hungry to learn. Not many come to teach in that region, especially in the winter months, so they were happy to have us. On Thursday, we traveled the 3 1/2 hours back to Tirana where the final module was taught. We had twenty-five in attendance, many from Lushnje where we have lived before and from our small group. Again, participants were eagerly absorbing the teaching, asking pertinent questions and giving valuable insights. Having the fellowship, collective support, training and mindset of our missionary team enabled us to effectively teach and train biblical truths without hinderance. We were mutually edified and built up in faith as Doug and Blair ministered the Word of God. This joint endeavor in ministry, not only gave those in Romania and Albania glimpses of struggles from each others perspective of life, post-communism, but having one focus and the commonality of prior training, provided a rich experience of growth which could be imparted to others. We believe we all benefited and God was glorified to use us; connecting in ways we will only realize in eternity. 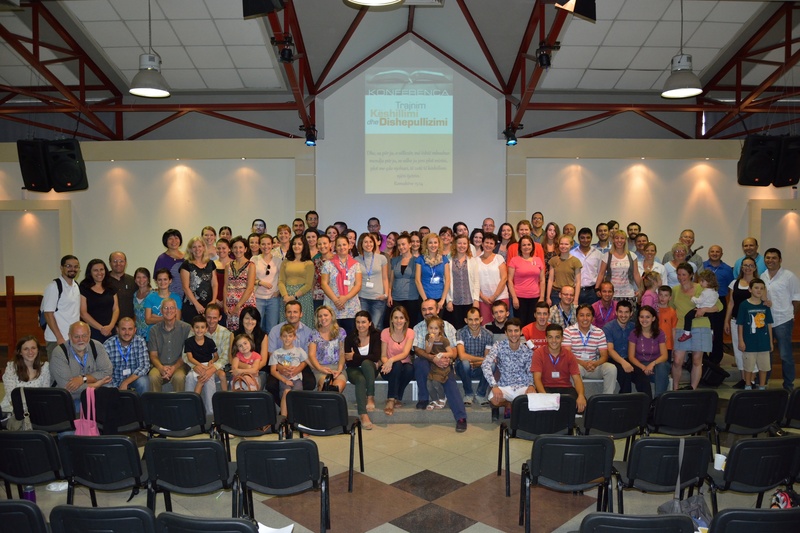 Praise our Heavenly Father for how He continues to equip and empower pastors and other Christian leaders through the Biblical Counseling School in Romania as well as the conferences taking place in Albania and the Czech Republic. Doug Markesbery, in cooperation with the Areopagus Center has facilitated one 2-year course already, started another 2-year course of training and certification in 2014. Blair Alvidrez organized two more conferences across Albania at the end of 2014. Prior to his home assignment (Summer 2014), John Dostal taught at the fourth conference in Náchod, Czech Republic. All of these conferences are joint efforts with pastors and teachers from Grace Fellowship Church and other churches in the USA.